Sales of existing homes fell last month, due party to low supply. The National Association of Realtors (NAR) reports previously-owned home sales, including single-family homes, townhomes, condominiums and co-ops, were at a seasonally adjusted annual rate of 5.57 million. That's a drop of 2.3% from March's downwardly revised level 5.70 million. Even with the drop, sales were up 1.6% from the same time a year ago -- the fourth highest pace over the past year. 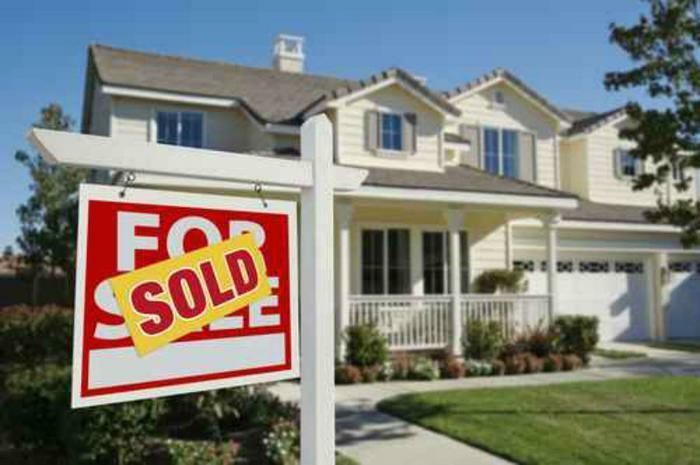 "Last month's dip in closings was somewhat expected given that there was such a strong sales increase in March at 4.2%, and new and existing inventory is not keeping up with the fast pace homes are coming off the market," said NAR Chief Economist Lawrence Yun. "Demand is easily outstripping supply in most of the country and it's stymieing many prospective buyers from finding a home to purchase." The median existing-home price for all housing types in April was $244,800 -- up 6.0% from April 2016 and the 62nd straight month of year-over-year gains. The median is the point at which half the house sold for more and half for less. Total housing inventory at the end of April climbed 7.2% to 1.93 million existing homes available for sale. That's 9.0% lower than a year ago (2.12 million), has fallen year-over-year for 23 consecutive. Unsold inventory is at a 4.2-month supply at the current sales pace, compared with 4.6 months a year ago. Properties typically stayed on the market for 29 days in April, which is down five days from March and 39 days a year ago. It also surpasses last May (32 days) as the shortest timeframe since NAR began tracking in May 2011. Every major region except for the Midwest saw a decline last month. Sales in the Northeast were off 2.7% to an annual rate of 730,000, and are now 2.7% below a year ago. The median price, though, was up 1.6% from April 2016 to $267,700. In the South, sales fell 5.0% to an annual rate of 2.30 million, but are still 3.6% the same period a year earlier. The median price was $217,700, a year-over-year gain of 7.9%. Existing-home sales in the West dipped 3.3% to an annual rate of 1.18 million in April, but are up 3.5% from a year ago. The median price jumped 6.8% to $358,600. Sales rose 3.8% in the Midwest to an annual rate of 1.36 million, but are off 0.7% from April 2016. The median price was $194,500 -- a gain of 7.8%.